New bathroom installation by CS Plumbing Services in Chester showing we are the number one plumbers in Chester providing yet more unbeatable service to our customers. We visited the customers house to price up the job and discuss the customer’s requirements. 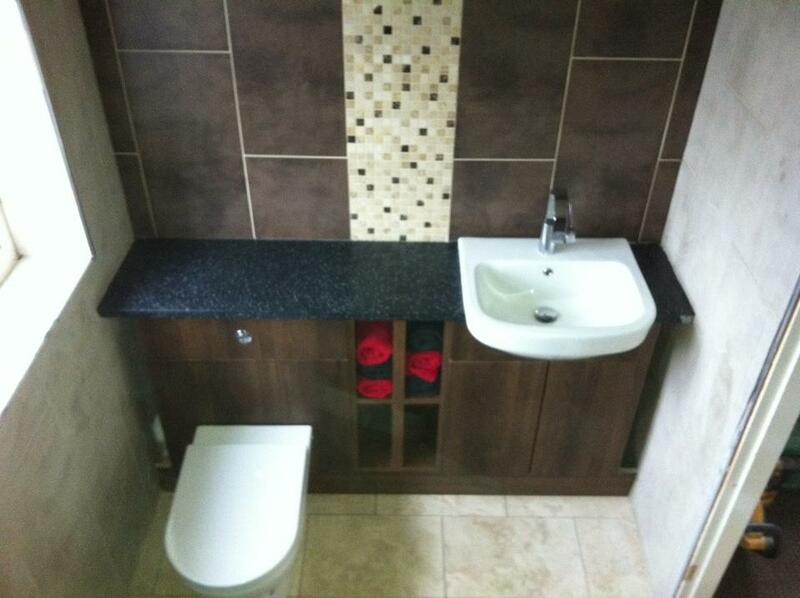 The old bathroom was looking very dated and the customer wanted a modern bathroom room to replace it. We agreed on a bathroom suite for the customer and a date was set. The whole bathroom was ripped out and the walls reboarded. Below are a couple of pictures of the job and the new bathroom in place, complete with a tv. CS Plumbing Services prides its self on being the best plumbers in Chester and offering first class customer service. Visiting our website will show you many more jobs we have done. All our customers are provided with a full invoice with a breakdown of all the work carried out, also all boilers are signed off with gas safe. We are one of the only companies to carry a mobile card machine with us making it easy for the customer to pay on their debit or credit card.